West Bottoms 01 KCK. 6X8 oil on board, 6X8 oil on board. $225 $250 with 11X14 mahogany frame. West Bottoms 03 KCK. 6X8 oil on board, 6X8 oil on board. $225 $250 with 11X14 mahogany frame. Westport plein air- Westport Road and Roenoke Morning. 6X8 oil on board,. $125 $160 with 11X14 mahogany frame. 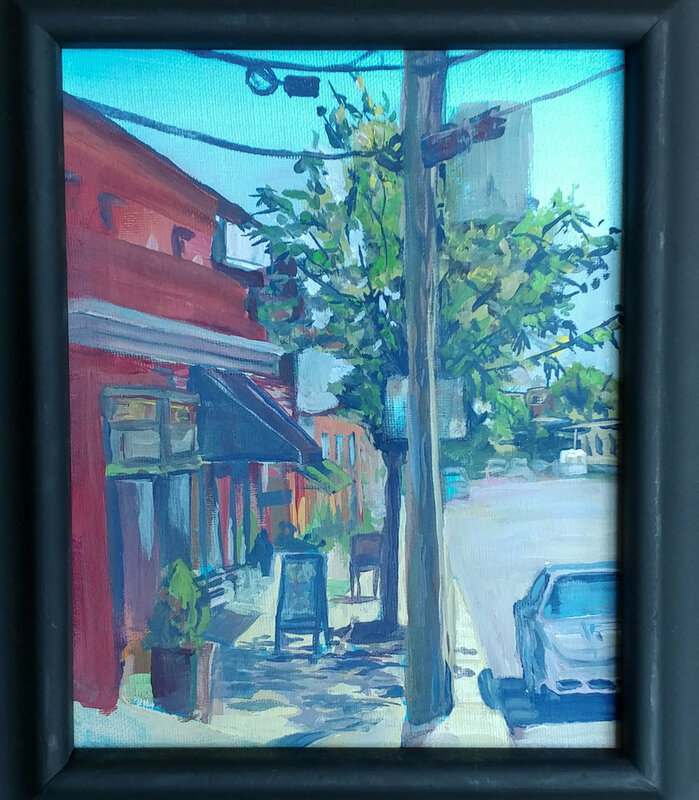 Westport plein air- Westport road KCMO. 4X6 oil on board. 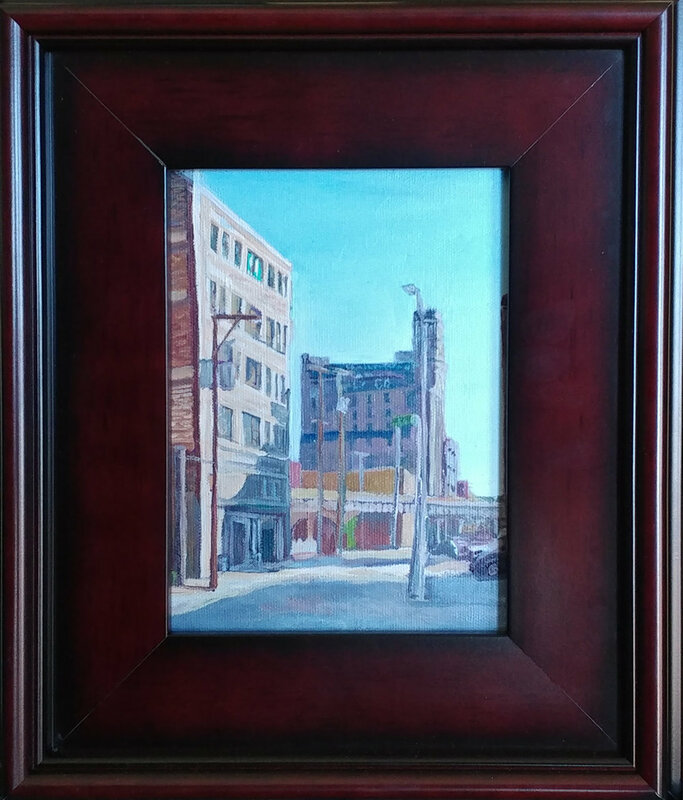 $110, $150 with 9X11 mahogany frame. Tonganoxie plein air- Evans Building Eastward. 10X10 oil on board. $90. $130 with 10X110 mahogany frame. West Bottoms 02 KCK. 6X8 oil on board, 6X8 oil on board. $225 $250 with 11X14 mahogany frame. West Bottoms 03 KCK. 6X8 oil on board. $225 $250 with 11X14 mahogany frame. Westport plein air- Allen Village School Building KCMO. 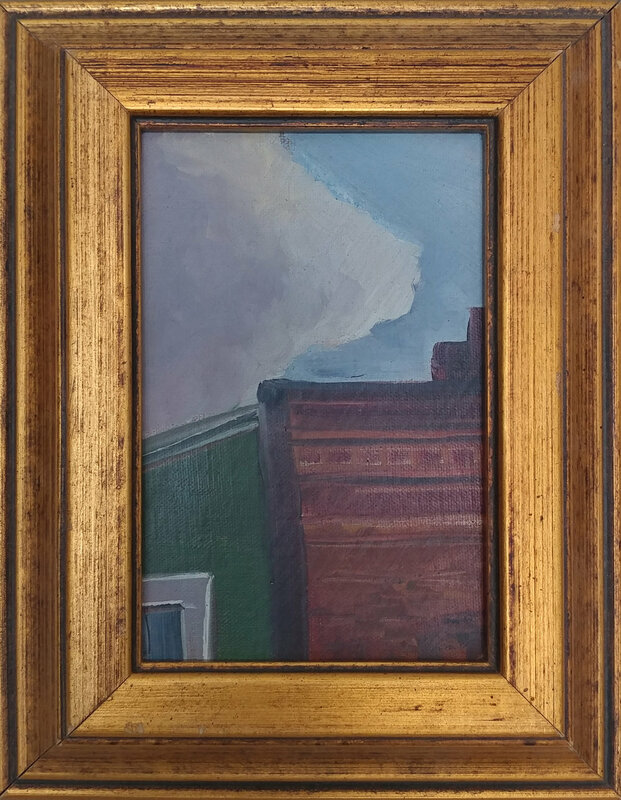 6X8 oil on board, $125. $160 with 11X14 mahogany frame. 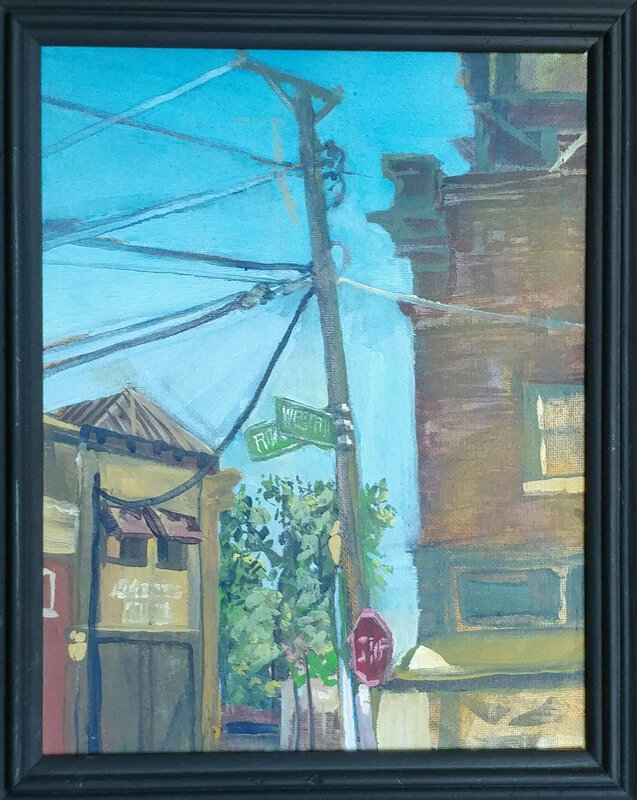 Westport plein air- Westport Block KCMO. 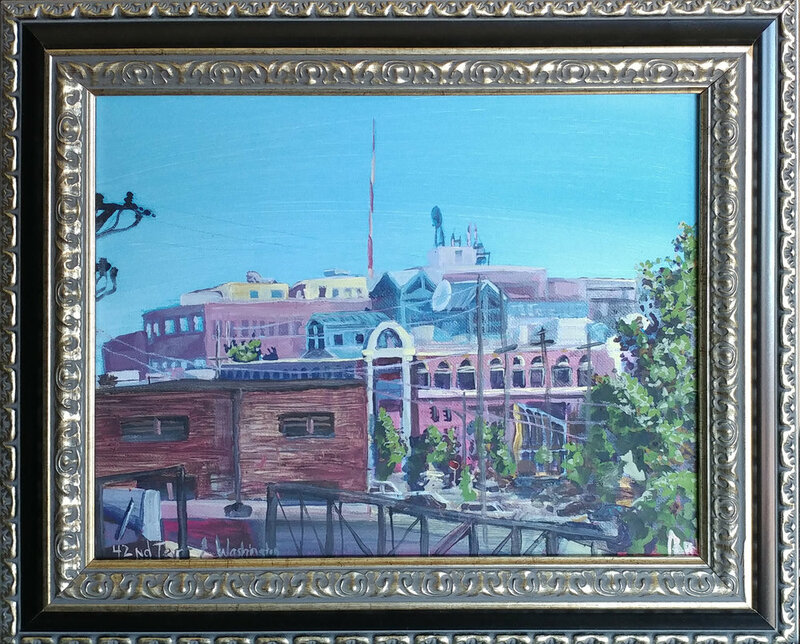 4X6 oil on board $110, $150 with 9X11 mahogany frame. Brookside plein air- 63rd and Brookside road. 6X8 oil on board $150. $190 with 11X14 mahogany frame. Tonganoxie plein air- Evans Building Westward. 10X10 oil on board. $90. $130 with 10X110 mahogany frame.